Great tasting coffee – no bull! Some of the world’s most sought after coffee beans have been roasted and blended by us to reflect the uniqueness of the New Zealand landscape and people. In each cup of our premium coffee is the heart and soul of New Zealand. Fresh, locally roasted “Coffee from the Heartland”. 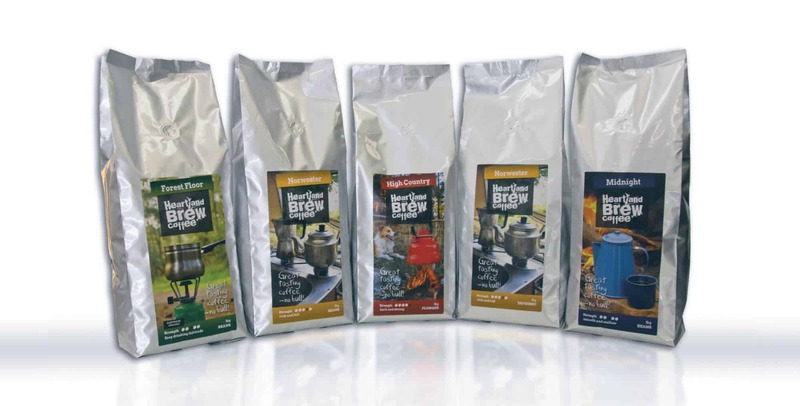 Heartland Brew is roasted with the highest quality premium coffee in 5 great blends and is now available through Trents Wholesale, selected New Worlds, Pak n Saves and café outlets throughout the South Island.